NAI James E. Hanson is a NJ based full service commercial real estate firm that provides comprehensive and sophisticated real estate services to its clients. Founded in 1955, the firm also provides national and international services via its affiliation with NAI Global, a managed network of over 375 offices in 55 countries. Core services include: Brokerage Services, Corporate Services, Property Management, Government Services, Logistics, Tenant Representation, Financial Services, Property Valuation, Investments, & Healthcare. Darren has been actively representing clients in leasing, acquisition and disposition of Office, Healthcare and Investment Sales since 2000, exclusively with NAI James E. Hanson. He has the skills and knowledge required to provide Landlords, Tenants, Healthcare Professionals, and Investors with pertinent information and strategic advice to assist them in making informed real estate decisions. His background in finance and economics coupled with expertise and knowledge he has gained from working with experienced real estate professionals for 18+ years gives Darren access to one of the largest pools of real estate resources. His integrity and desire to succeed on behalf of his clients gives him a distinct advantage in developing long-term relationships with business leaders. Darren’s greatest asset is his ability to obtain a thorough understanding of his clients’ needs to expedite tasks in a timely manner. 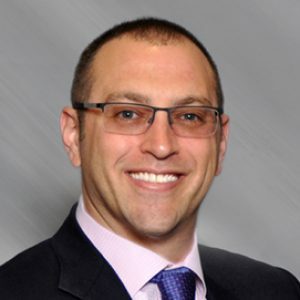 Darren is also the founder of CREA United (formerly NJ Commercial Real Estate Alliance), which is a collaborative real estate organization comprised of six divisions (Corporate, Healthcare, Retail, Office, Multifamily, and Industrial) and over 50 member firms with a backbone in commercial real estate. Darren leads the Corporate, Healthcare, & Office Divisions under his leadership; together they have completed many forms of commercial real estate projects from inception to completion, valued in the billions.